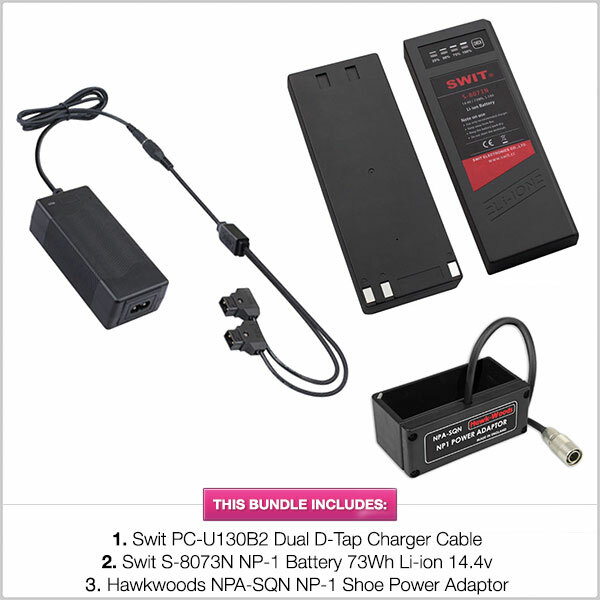 The SWIT SC302 NP 1 & Dual charger cable is a handy bundle for sound recordists needing a slimer external battery profile than the DV battery options. 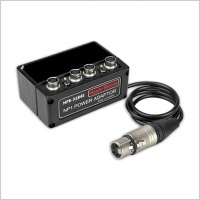 Perfect for the Sound Devices 633, Zoom F8 and other devices along with a NP1 Hi-rose shoe. 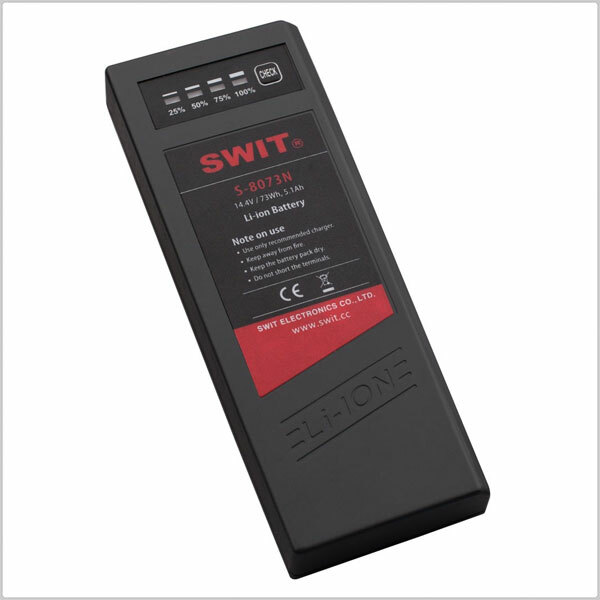 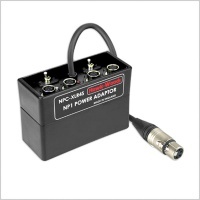 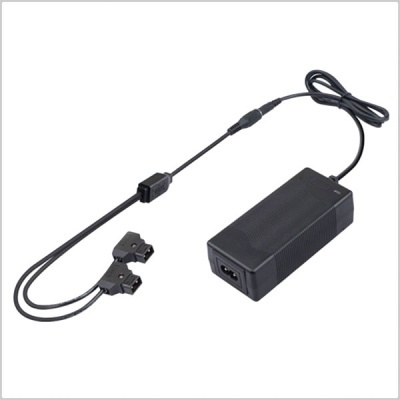 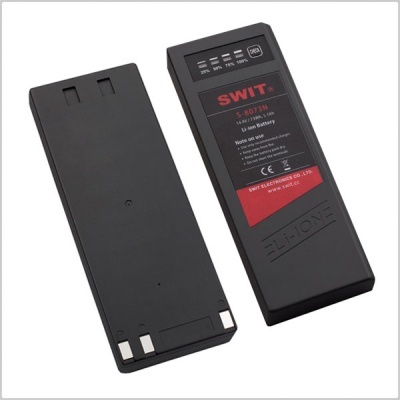 The S-8076N is the NP-1 type rechargeable Li-ion battery pack for professional video cameras, as well as the audio mixers of NP-1 battery connection. 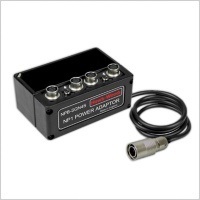 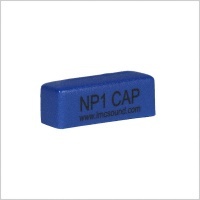 The NPA-SQN is an NP1 Power Adaptor with an SQN (4 pin Hirose) connector. 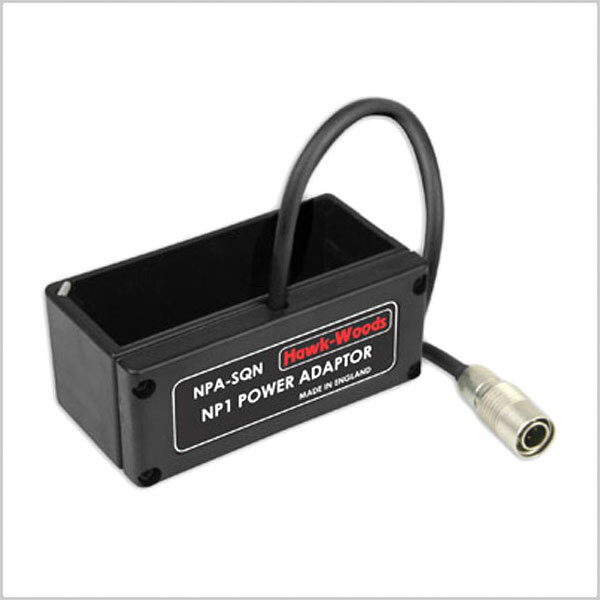 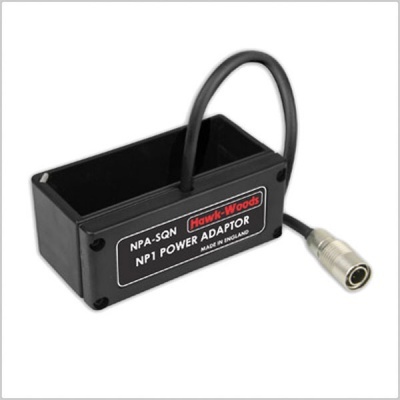 Hawk-Woods NPA Power Adaptors are the most basic of all the power adaptors they manufacture. 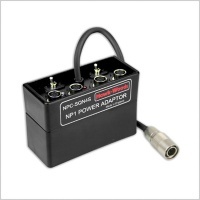 They offer unregulated battery output from a single flying lead. 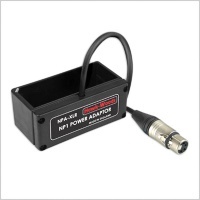 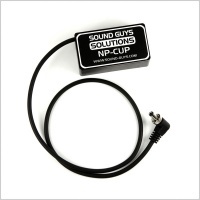 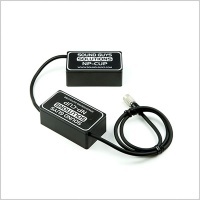 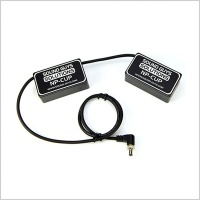 They are suitable for most mixers or recorders including Sound Devices and are often used as a charge adaptor.